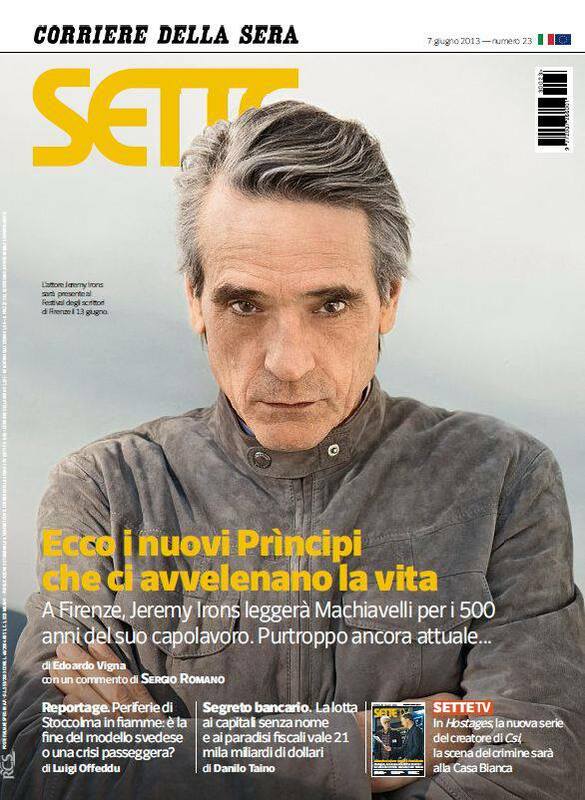 Jeremy Irons is featured in the 7 June 2013 issue of Corriere della Sera Magazine from Italy. 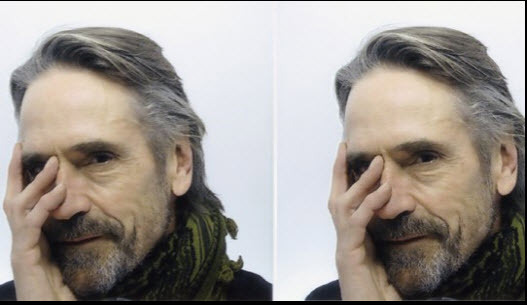 Jeremy Irons arrives in Italy to read Machiavelli’s The Prince together with Laura Morante. He says that the only real Prince left is the Pope. He’s the only one who has the power to change the world and make it better. He has already begun changing the Vatican: Jeremy was very impressed seeing the Pope washing people’s feet, that’s what the Church needs. Then he compares Pope Bergoglio with the character he played in the movie Mission, Father Gabriel, they’re both of the Jesuit order. The game of power has remained the same for years. ‘’ Whether it is better to be loved than feared, or the reverse’’ Machiavelli wrote. Human nature hasn’t changed, and so haven’t the means to control people. Industries only care about their business, politicians in Bruxelles decide for our lives. It’s the game of power. Those who cheat will always find those who let themselves be cheated. Jeremy has never thought of becoming a politician. To be a politician you must have great ideals, know society, without accepting compromises, which is the most difficult thing to do. In theatre he played Richard II, a man who didn’t want to rule, but found himself on the throne, as opposite to Macbeth and his lust for power and dangers. Jeremy says that in politics there have been some good men, such as Nelson Mandela or Churchill. But every politician is disappointing in the end, leading a nation is a hard task. Bruxelles has power over almost every European nation. Last year in Italy the prime minister was not voted by people, but imposed and charged to put order in the Italian economics, but having an economist as the head of the government is not a good thing. Ironically there was a politician in the Irons family: one of his ancestors broke into Westminster parliament riding a donkey to make a petition for democracy. There is one man that Jeremy admires, and he is Pope Francis. Jeremy likes going to church with his Catholic wife Sinead. ‘’When I was in Colombia shooting The Mission I chose to be barefoot all the time because the Indians didn’t wear any shoes and I wanted to feel like them, feel what they felt, a strong bond with nature and the ground under their feet. You can follow the word of Christ without being influenced by the Church of Rome. Actually the Church has always been far away from people , but I think Pope Francis can change this. It will be hard but he can make it’’. Very different from Pope Francis is Rodrigo Borgia, a dissolute libertine. ‘’I read a lot about him to play this character. He was more of a king than a pope, he wanted to be rich and powerful but in the end he stained the name of his family forever. Rodrigo is often seen as a negative man, but playing a negative character is very charming! Playing the role of someone who goes against the rule of society is very interesting! There’s this constant fight between the good and the evil inside of us’’. Then Jeremy goes on talking about Trashed. Films, movies (Jeremy’s favourite movie is L’amour by Michael Haneke) cannot change people but can make us aware of the problems we need to solve. 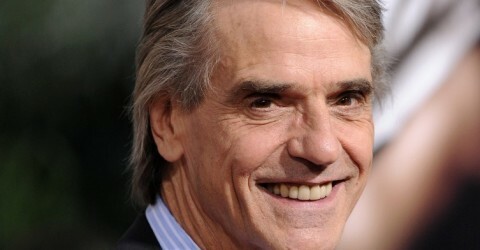 Jeremy Irons says he wants to stay away from politics, but Trashed is a political film. In the end Jeremy talks about internet and facebook. They should be places for dialogue, instead every word you say is turned around and given the wrong meaning, as it happened recently when Irons stated his views on gay marriage. ‘’Everyone sees what they want to see, few really listen to what you say and understand what you really are’’ Machiavelli wrote 500 years ago. And so we wait for Jeremy in Florence to explain all of this.